This page shows details of events organized by us each month. 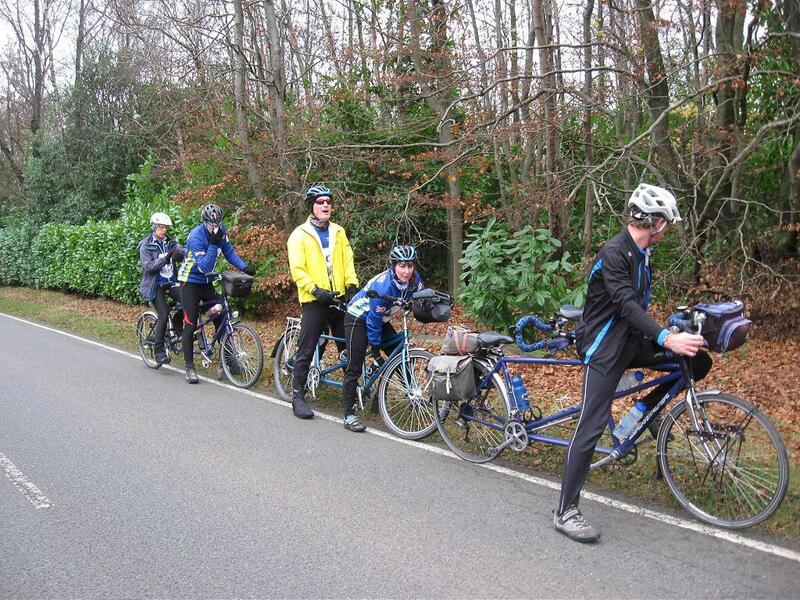 For a list of all tandem events in and around Kent, click on the Diary 2016 page where you will also see events and rides organized by the Tandem Club Surrey & Sussex. Our ride will start from our home. Coffee stop and pub lunch and back home for tea. 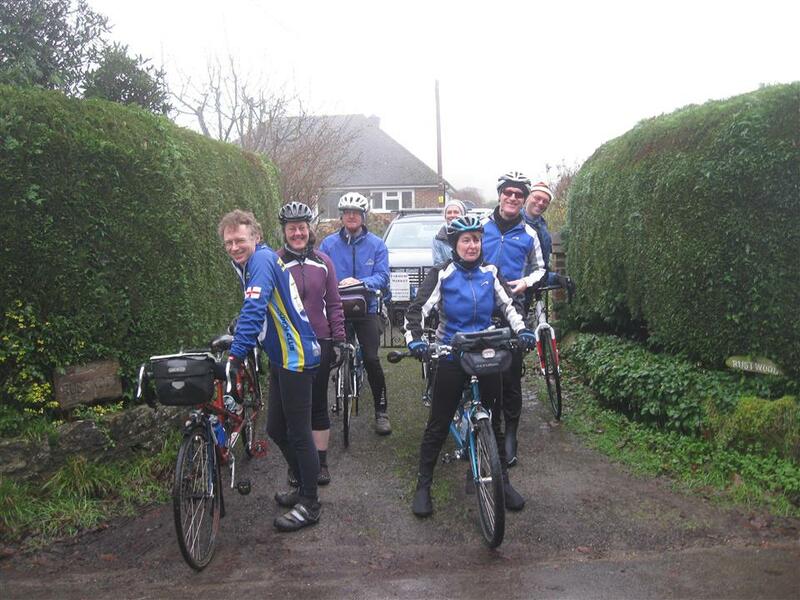 Three couples joined us at our house for a pre-ride coffee before setting off. After just half a mile Pauline realised that she had forgotten to phone the pub, or even bring the number. The leaders clearly need practice at running rides. I considered taking two right turns to return to our house but thanks to the wonders of(now not so modern) technology, Dave managed to look the number up on his phone. We started with a long descent, so the mild weather was appreciated. 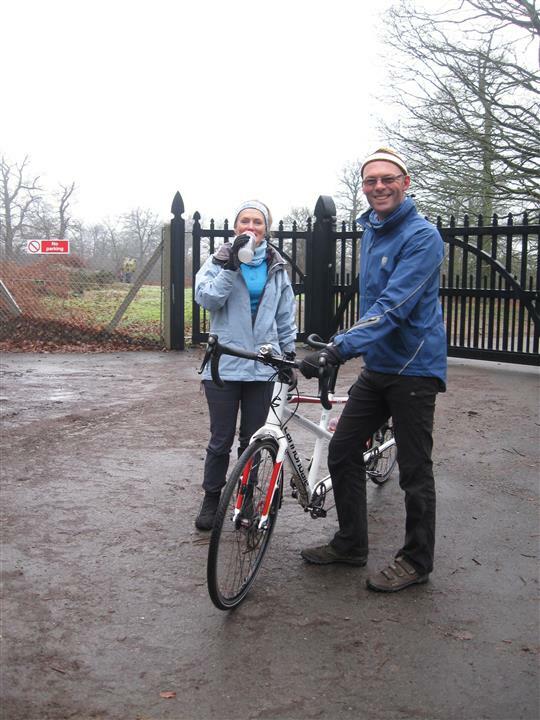 This was followed by a warming climb to Sevenoaks and a ride through Knowle Park. 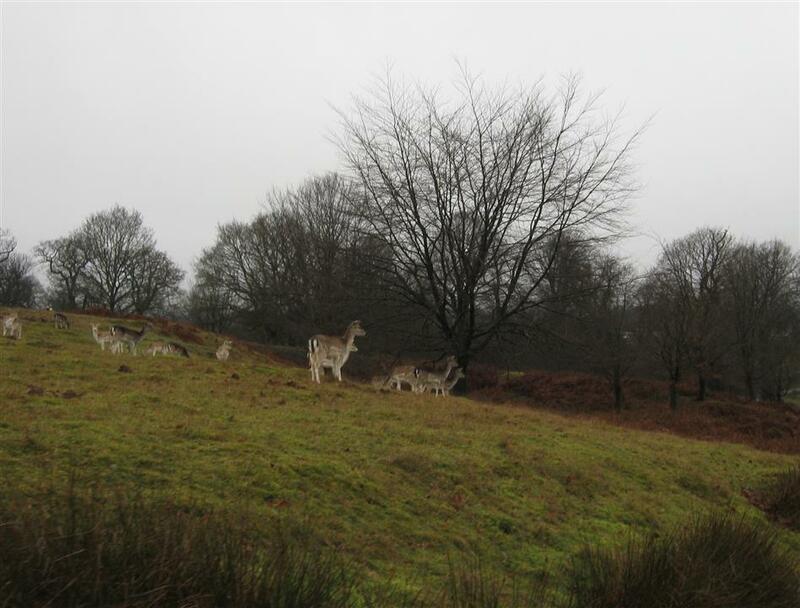 Many deer were in evidence including an impressive stag. At the far side we had to negotiate a difficult gate to get out and then a splendid road along the top of the Greensands ridge to Stone Street and then a decent to Ightham where we stopped for coffee at the Italian wine bar. The lunch pub was actually only about two miles up the road, but we took a rather more tortuous route of eight miles, via the Pilgrims Way through Wrotham, to Trottiscliffe, then past the Neolithic tombs at Addington to Wrotham Heath, a climb up Gallows Hill before descending to Lunch at the Blue Anchor, Platt. Suitably refreshed it was another short warming climb to Crouch, before an undulating route through Plaxtol, Shipbourne, Underriver and Sevenoaks Weald. Here we commenced the only serious climb of the day, along the gravelled Bridleway of Winkhurst Farm road to the top of Bayley’s Hill. The hill fog had hung around on the tops of the hills all day, and having been below it up until now, we had the last two miles to return in cloud to the leaders house for tea and cake. 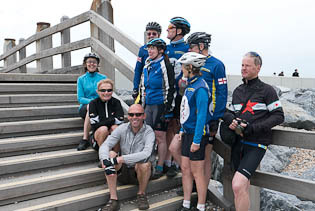 Photo call on the café's bridge - I hope it doesn't break! Can Adam stay on the bike? Nice bike, Liz is now in charge! 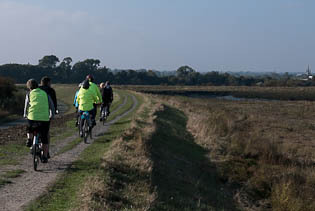 18 poor souls turned up for a lovely breezy morning in the Garden of England. Temperatures soared above zero… it got to about 6! The Garmin decided not to update so had to cope with unreliable technology. 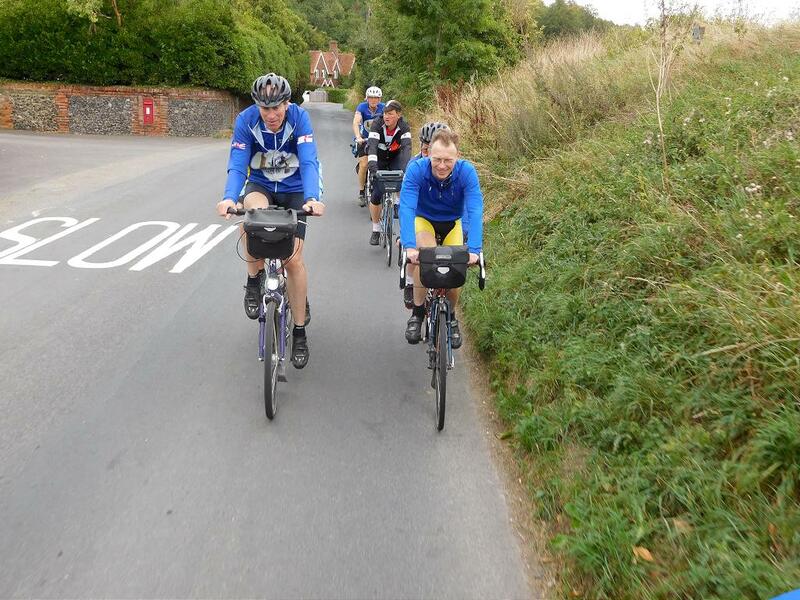 We started at Yalding train station and headed off to Brenchley where the first problem occurred with the tech. We went up a lovely hill and had a re-group at the viewpoint, but it all went wrong from here! We went down the wrong hill going to coffee at the fisheries and saw Liz and Ken going the opposite way (the right way) so turned around and followed them! After coffee we set off the up another hill which turns out was not planned as we should have gone down that one! But you can't complain about an extra hill in the cold depths of winter! We then headed towards lunch. We were never more than a stones throw away from the pub but managed to squeeze in just over 15 miles! I was impressed with myself managing not to repeat roads. After a lovely lunch at ‘The White Hart’, Claygate, we weaved our way back through the Kentish countryside towards Yalding, however we noticed that the temperature had significantly dropped to freeeeeezing!! Please contact Cliff and Pauline for more details. 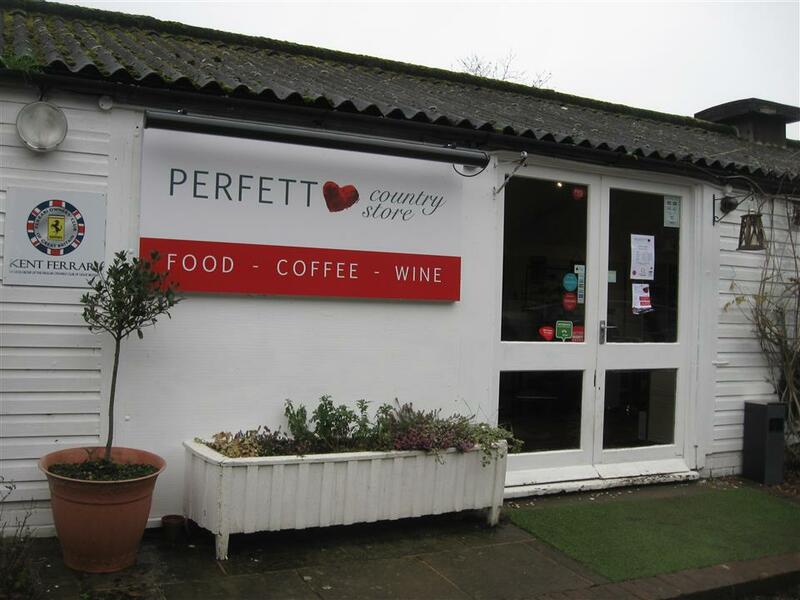 We will go to Beryl's Cafe just to the east of Rye for morning coffee. 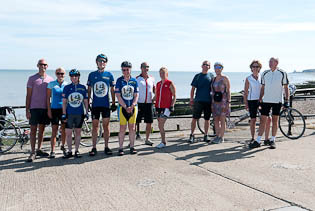 Then down the cycle path to Lydd and onto Dungeness and the Pilot for lunch. The Pilot does the best fish and chips for miles. They do other things but not a traditional Sunday lunch. It will be a change. After lunch, back to Lydd and then across the Marsh to Appledore then Wittersham, Beckley and home for tea and cakes for those who have behaved. At around 50 miles it is a bit longer than normal but pretty flat apart from the beginning and end. 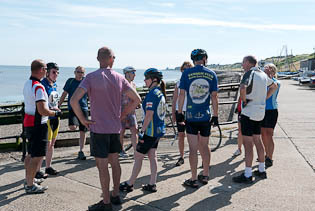 The start will be at Herne Bay Sailing Club CT6 6BA. There will be a stop in the morning in Bekesbourne after about 12 miles, and lunch at the Queen's Head in Boughton after another 18 miles. 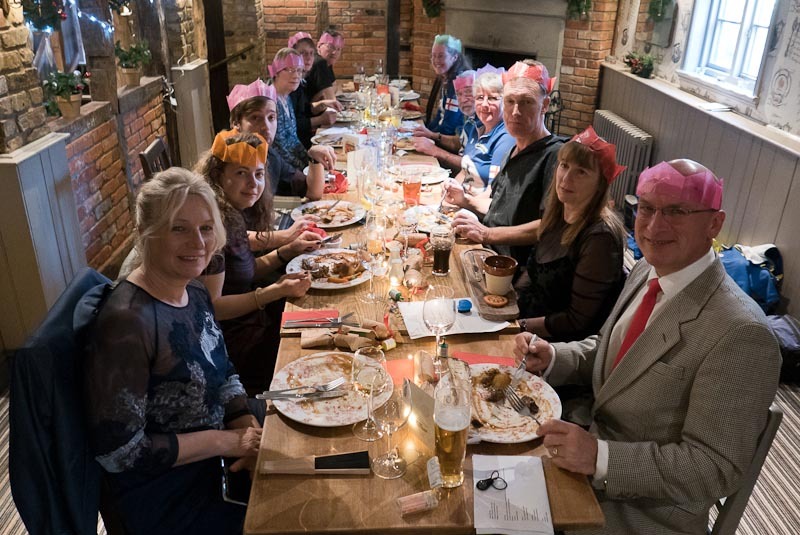 Please let us know if you plan to join us as soon as possible so that we can confirm numbers to the pub and email you the menu, if necessary. Lunch is at the May Garland Pub, Horam. If you plan to come can you please give Ken and Liz a ring or an email so they can confirm numbers with the pub. The start will be from Ditton Community Centre. 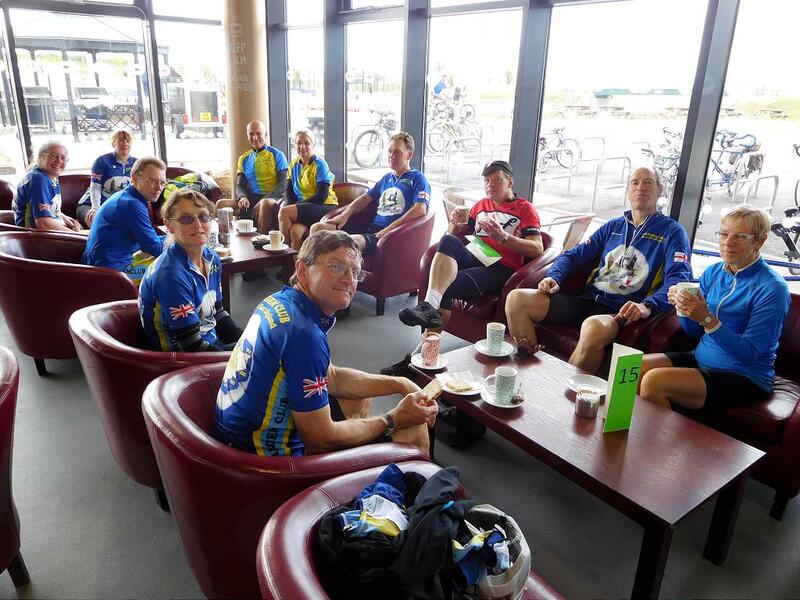 We will cycle 15 miles to our coffee stop at the Cyclopark, Gravesend and a further 15 miles to our lunch stop at Spadeworks, Offham. 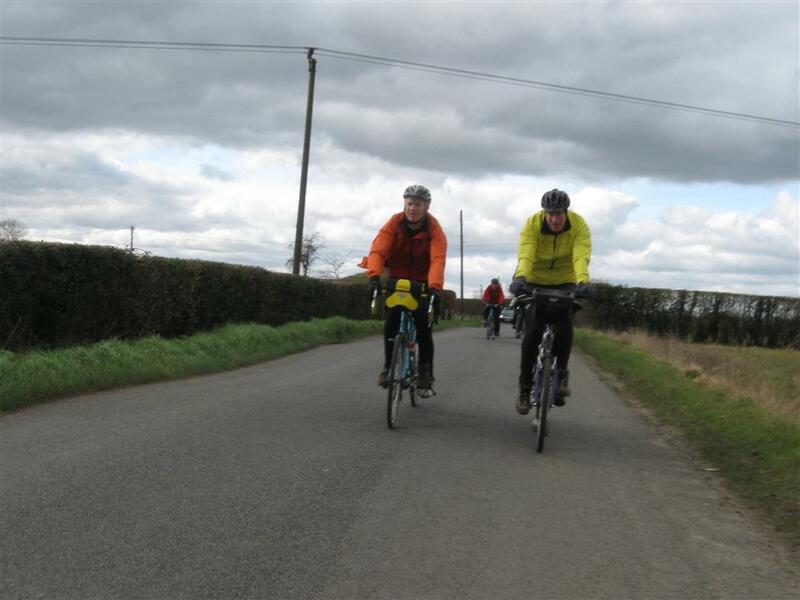 The ride will be about 40 miles with tea and cake at the finish. 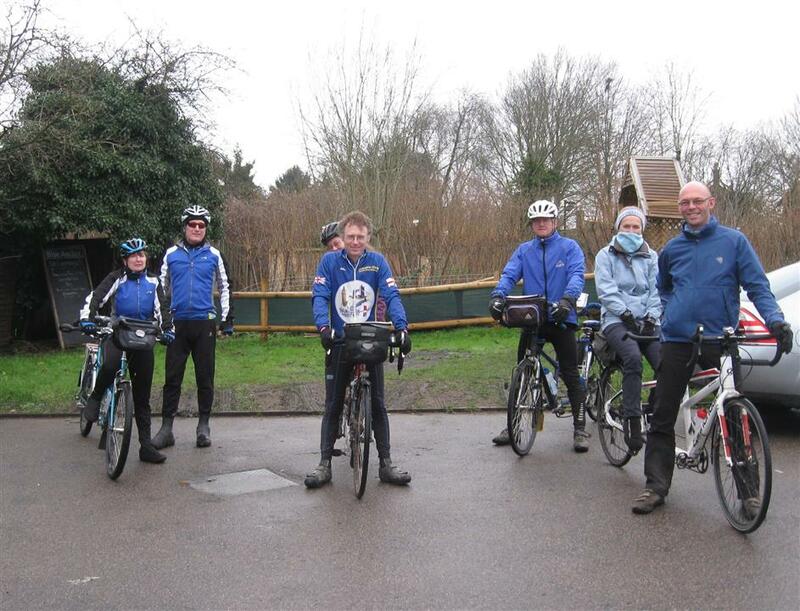 4 tandems and 1 solo set out from Ditton and cycled over the Medway River at Aylesford and then through quiet country lanes for 16 miles to get to our coffee stop at the Cyclopark, Gravesend. 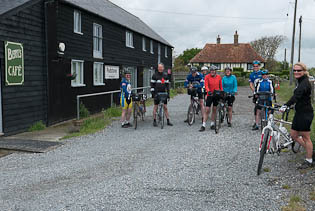 Here, we were joined by Sally and Graham and then we continued for a further 15 miles which took us to Spadeworks at Offham where we all enjoyed lunch. 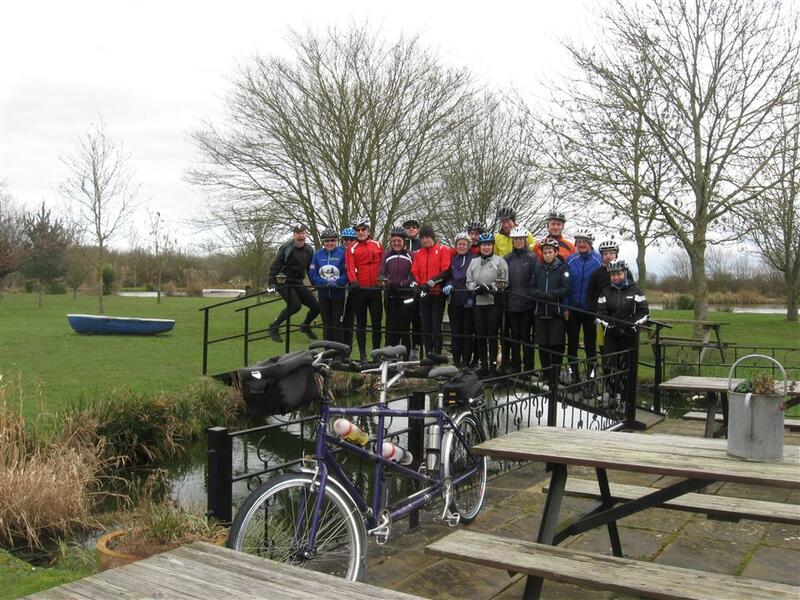 After lunch, we cycled the remaining 8 miles back to Ditton, where we all indulged in more tea and cakes! 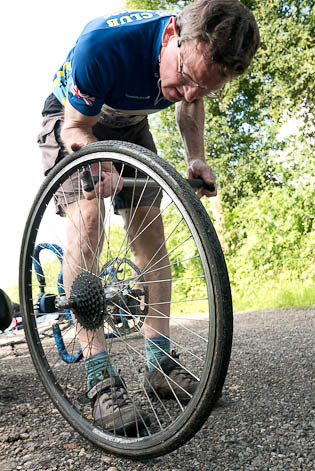 A good time was had by all, without any punctures. 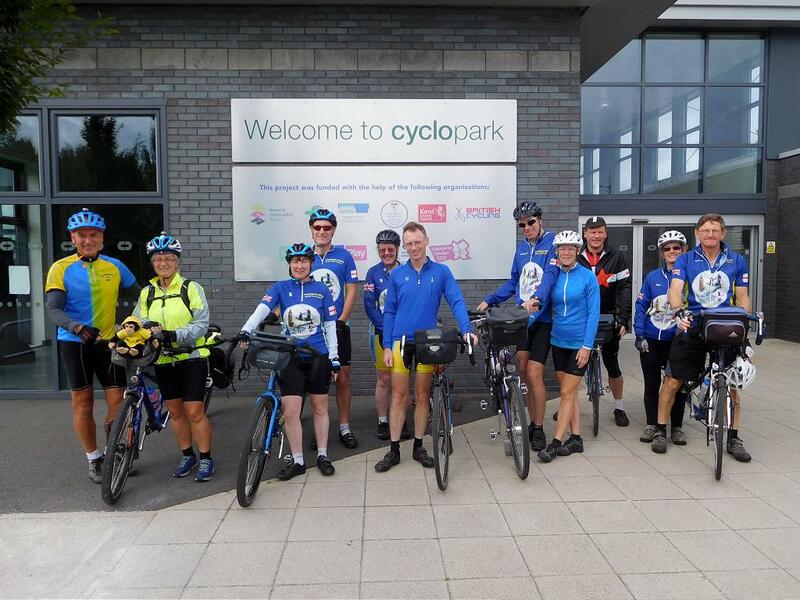 We cycled exactly 39 miles, climbing 2,090ft and averaging 12mph. Mark says 3.75 cakes per person!! There will be coffee in Faversham and then a comfortable route around Faversham making our way back, probably a Pub Lunch Near Boughton. We will confirm pub on Sunday. It’s the 23rd Oct and Jim and Kate’s ride, the weather should be rubbish but I wake up to a glorious morning. My first decision is shorts or legs - shorts I decide, it might be the last time I feel the cool breeze blowing through the hairs on my legs. Kate takes the option of trouser as she doesn’t have hairs on her legs to worry about. The next decision is how to get the cakes and coffee to the start point which is 4 miles from home, saddle bags go on and get loaded, the only thing that does not fit is the lemon drizzle cake and container. So we set of with Kate balancing a large cake container on her handle bars with strict directions to miss the bumps. We arrive at the station safe and sound and all the afternoon goodies safely stashed away. 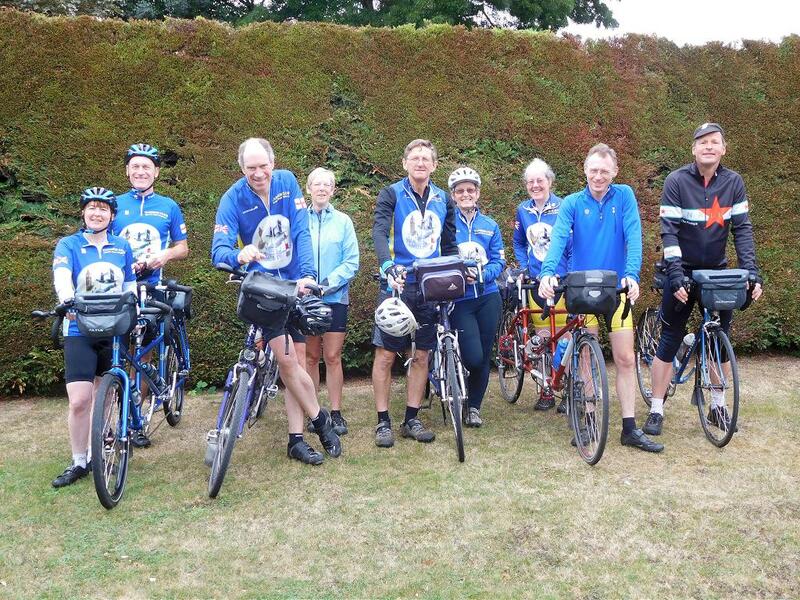 We had 6 tandems to start, a few new faces, Andy and Sharon on their Dawes and Mark and Kerry on their Raleigh, with all introductions completed we set off to Faversham for tea and coffee. 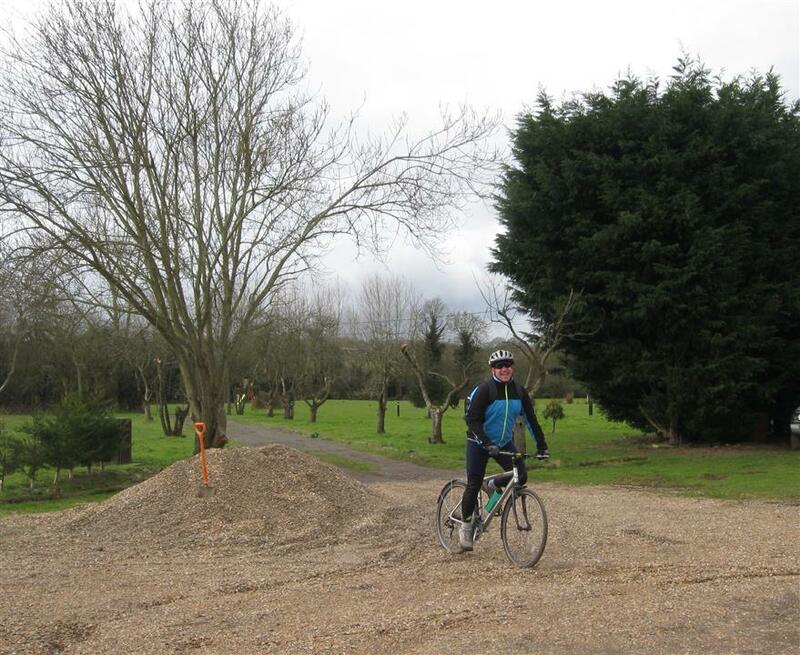 The route was a mix of back roads and the cycle path along the creek which was luckily nice and dry, with the most technical part of the ride being trying to get through the unfriendly gates. 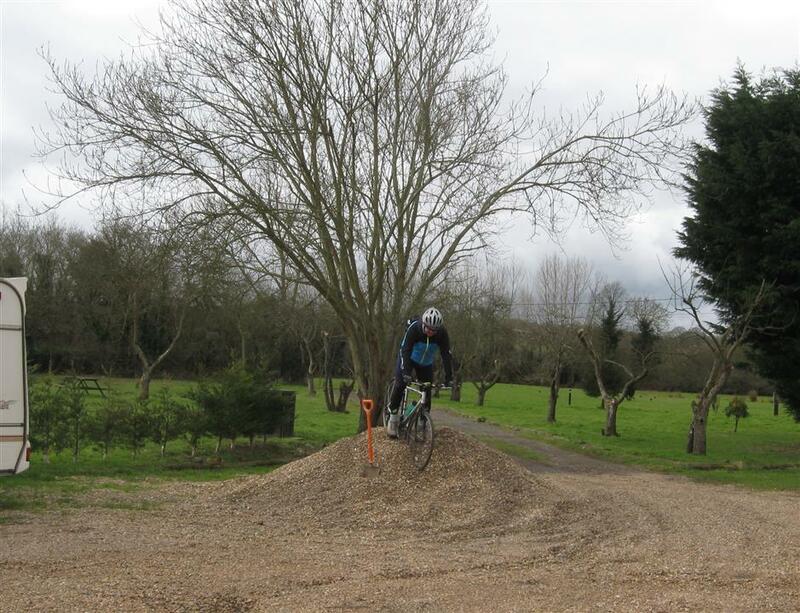 If you have a mountain bike style set up, it requires a wiggle from the front and a shake from the rear to manoeuvre the handle bars through the tight opening. Although we were all impressed when David rode straight through one set, the only problem being Caroline was not on the back when he came through the other side. 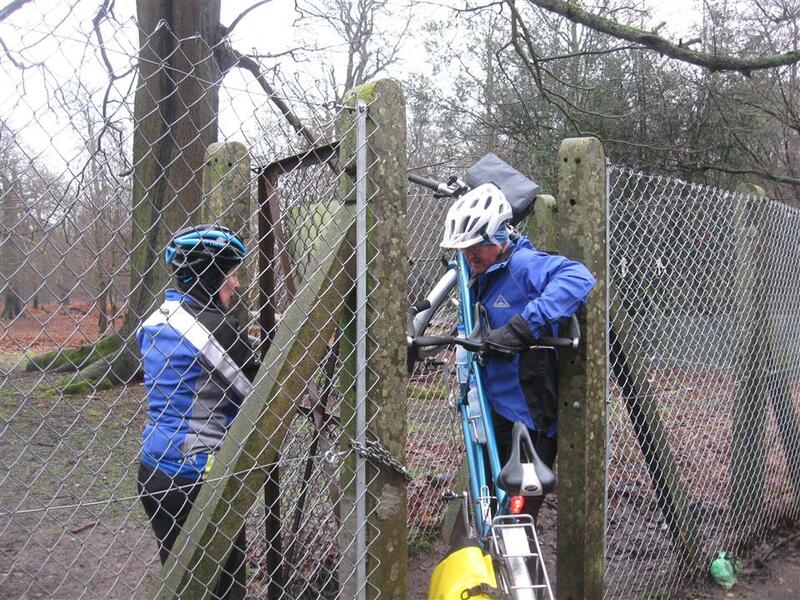 I’m not sure if she was left hanging on the gate or dismounted before the daring attempt. Coffee and tea was served at the Quay Side café in Faversham, a friendly place with plenty of space to park the bikes, well worth a visit. 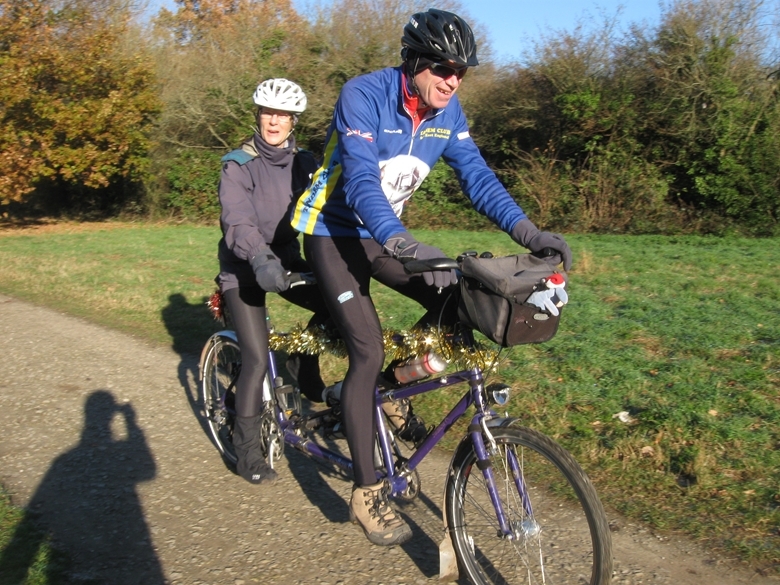 Andy and Sharon had decided to make their way back from this point as it was their first ride over 20 miles together, so settled in for another cupper as we set off for a twenty five mile circuit of Faversham before lunch. The weather was still sunny and my legs were still enjoying the breeze. 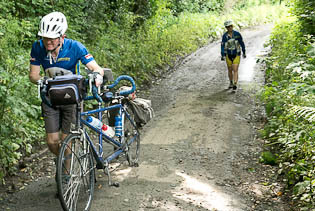 The route was quite rolling with a few steep sections which were luckily quite short but still challenging. 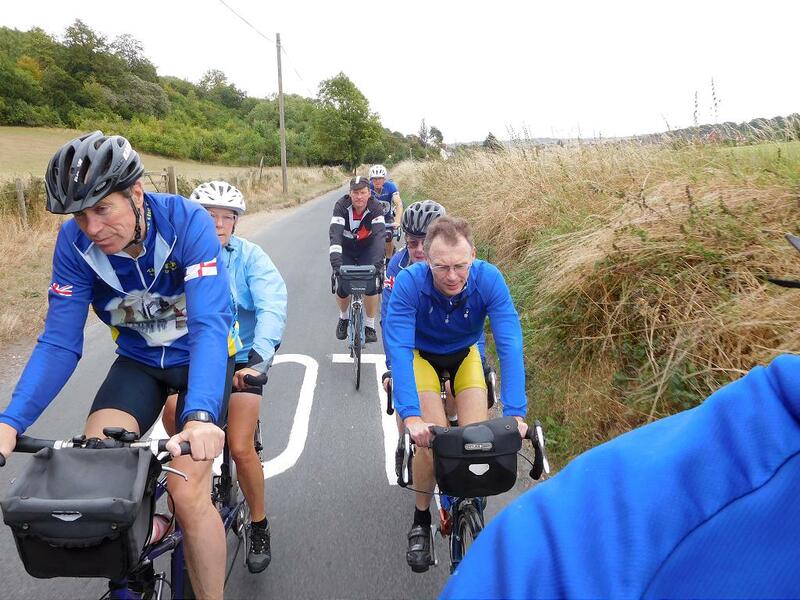 The roads we took were all country lanes and mainly traffic free allowing for a social ride as well as a scenic one and while resting at the top of a few hills we took in the view. 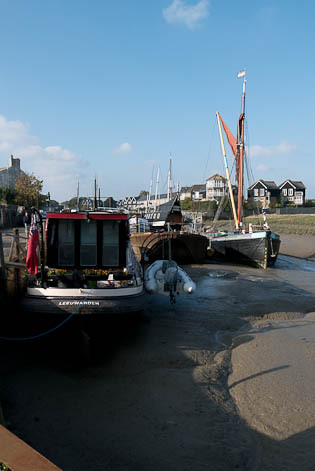 Once you are away from the town, Kent has some tranquil and stunning areas and although we were never further than 7 miles as the crow flies from Faversham we could have been 50 it was so peaceful. 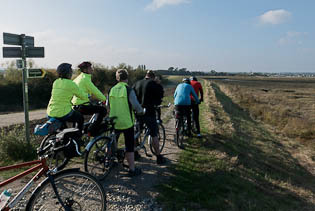 As we travelled out of the farming areas and picked up the country lanes through the woodlands, all we had to do was enjoy the ride and dodge horse chestnuts on the road, some area it was like riding across a green prickly carpet with the sound of the odd pop as the nuts left their husks under your wheels. 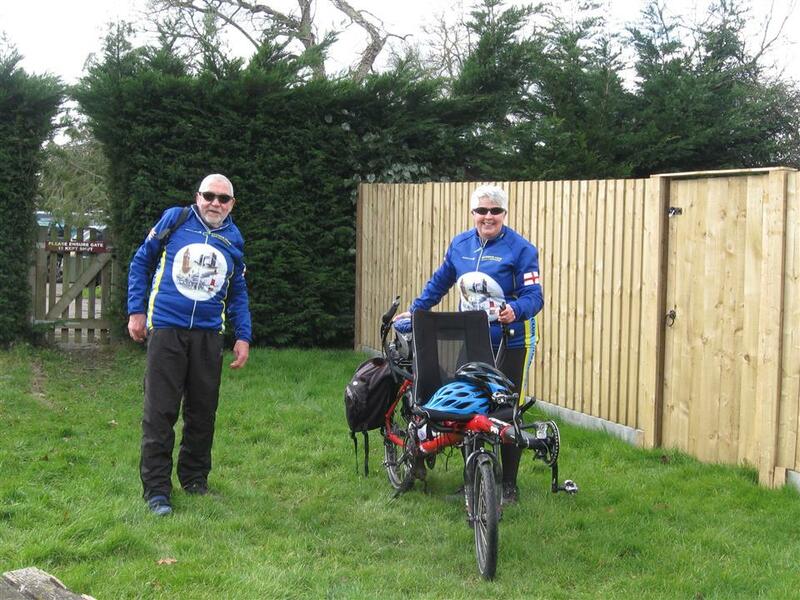 We arrived at the Three Horseshoes pub in Herne Hill bang on time 14-00 for lunch. 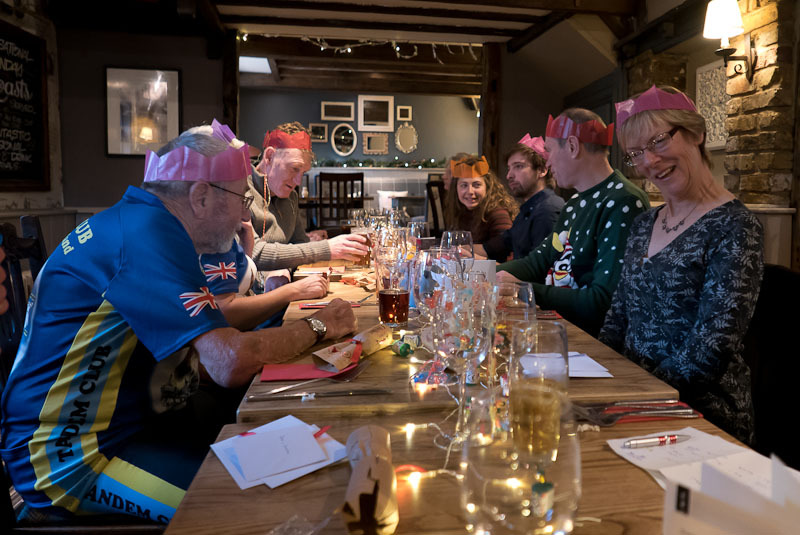 The pub was a new stop for us but turned out to be a gem, I think we all had a roast of some description and you know the food is good when the conversation goes quiet. With homemade gravy, stuffing balls and a good selection of veg everybody left singing the chef’s praises, I think all plates being totally cleared was a compliment in itself. We will be going back. 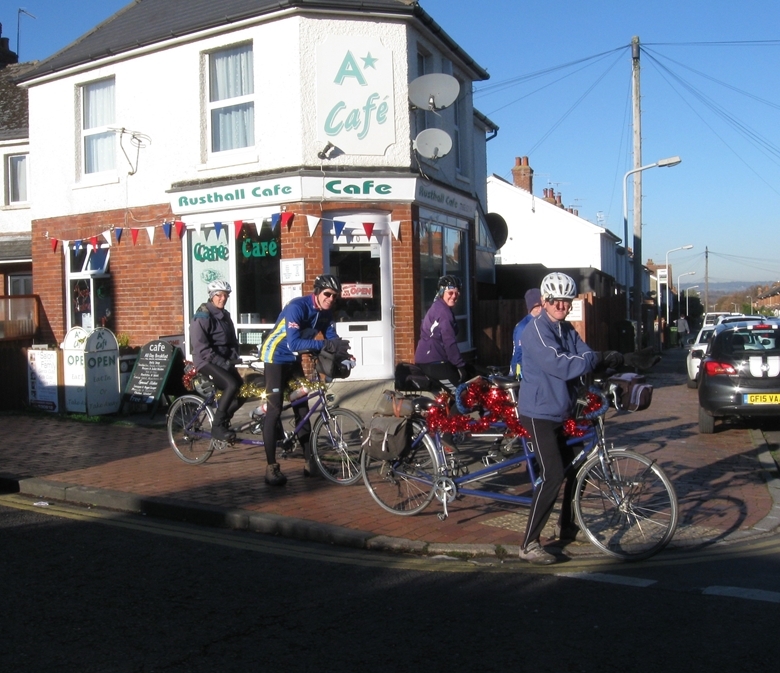 With full stomachs, we set off back to Whitstable for a quick 6 miles for coffee and Kate’s homemade cakes. The lemon drizzle went down well but the fruit cake soaked in brandy got a few members attention, hopefully they got home without being breathalysed. Early lunch at Sevenoaks Weald, no coffee stop, tea/coffee either at Chiddingstone or back at Edenbridge. Please let us know if you intend to come by Friday November 25th so that we can give numbers to the pub. Thanks. 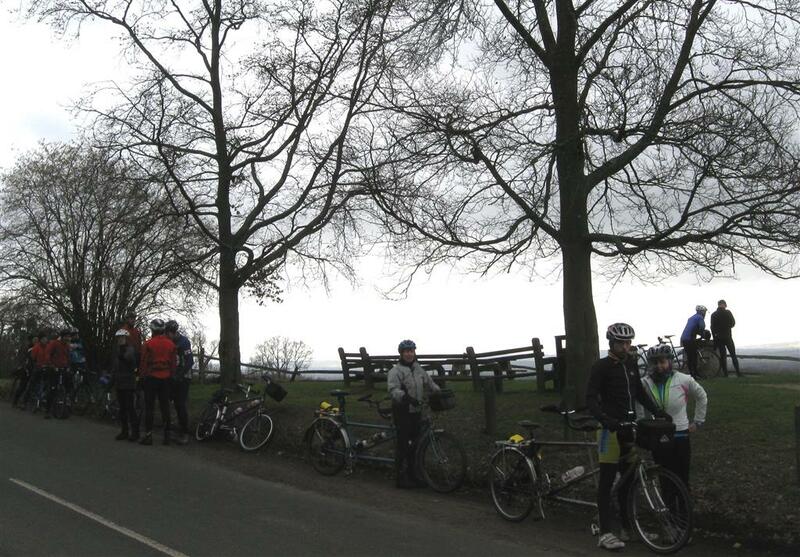 lovely tea stop, lights on everyone! Little did we know when we planned this ride that it coincided with the town's Christmas market and so the car park at the start was packed full by 9am. 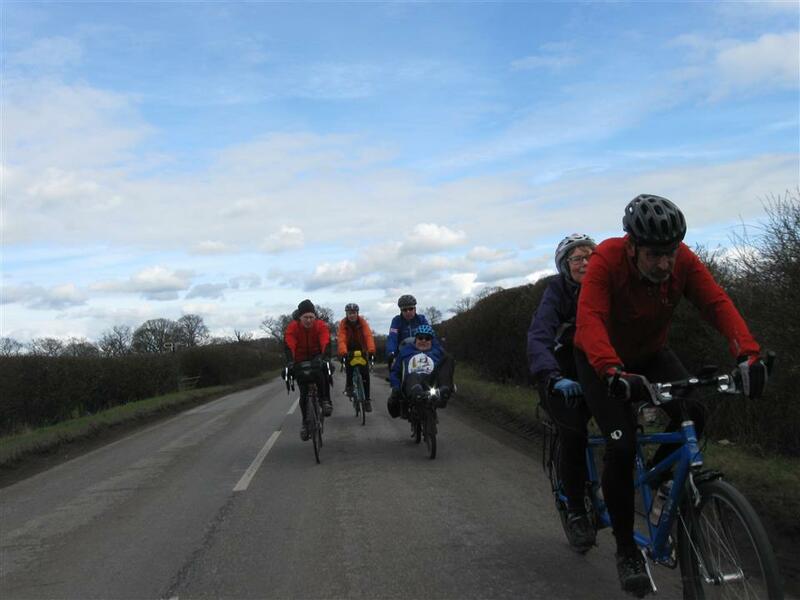 Our start was hastily rearranged to the Leisure Centre, where four tandems gathered on a bright and sunny day. 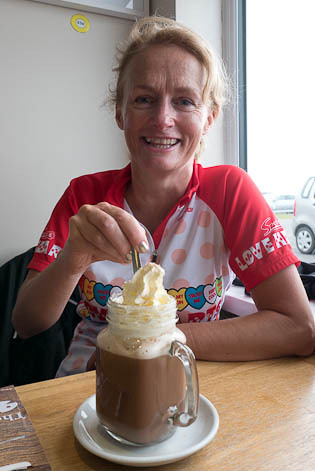 After climbing onto the North Downs Cliff and Pauline were surprised to be passing their own house and somebody suggested stopping for tea and cake! A stretch of downhill track brought us out right by the pub, just as it opened. 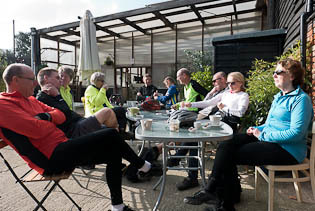 An excellent lunch provided the energy to wind towards the tea stop in Chiddingstone. 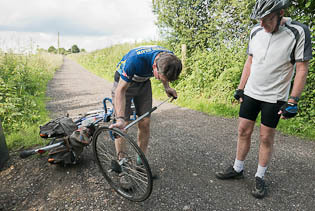 Cliff and Pauline decided it was time to mend their slow puncture and they were served outside. 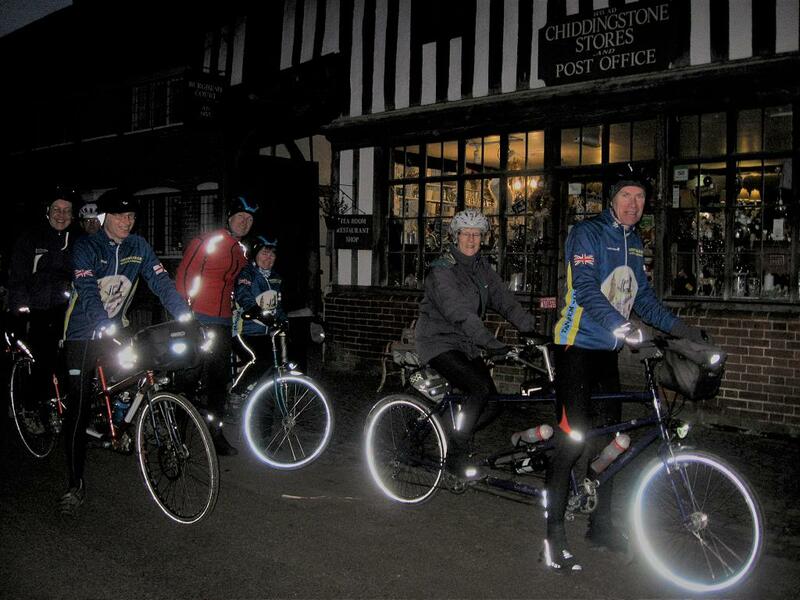 We quickly returned to Edenbridge in the dark and decided to risk the High Street as the market was surely packed up by now? 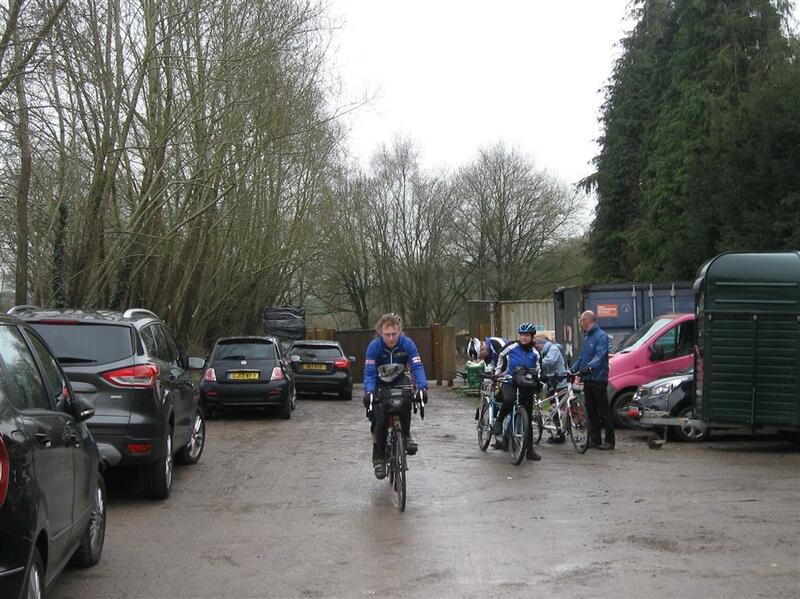 Apparently it wasn't and so we had to use the bypass to return to the Leisure Centre. 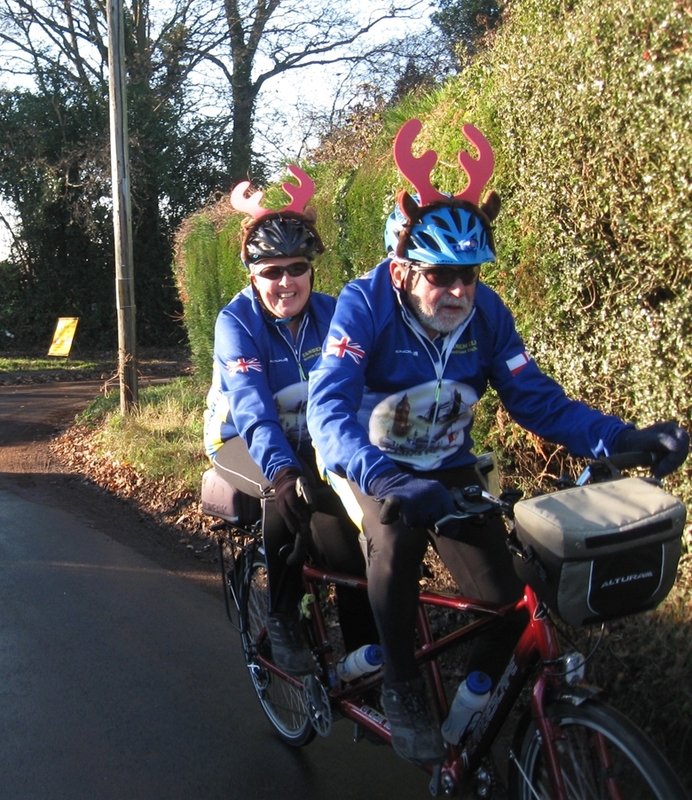 There will be an optional morning only ride beforehand, led by Cliff and Pauline. 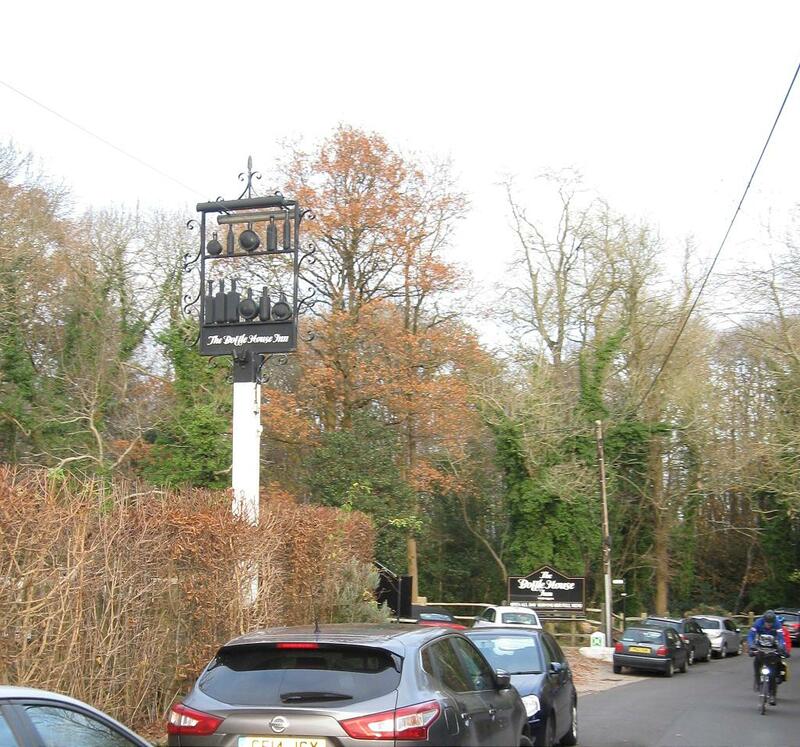 The proposed pub is off the A21 near Tonbridge. 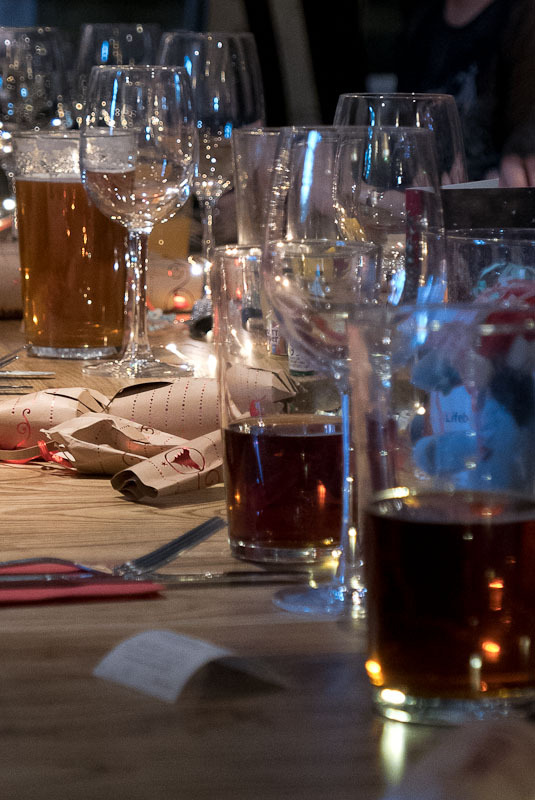 Details of the menu can be found at http://www.chefandbrewer.com/pub/vauxhall-inn-tonbridge/p1234/christmas/festive-menu/ Please let Pauline know if you would like to come. Participation in any of these events is entirely at the rider's own risk. 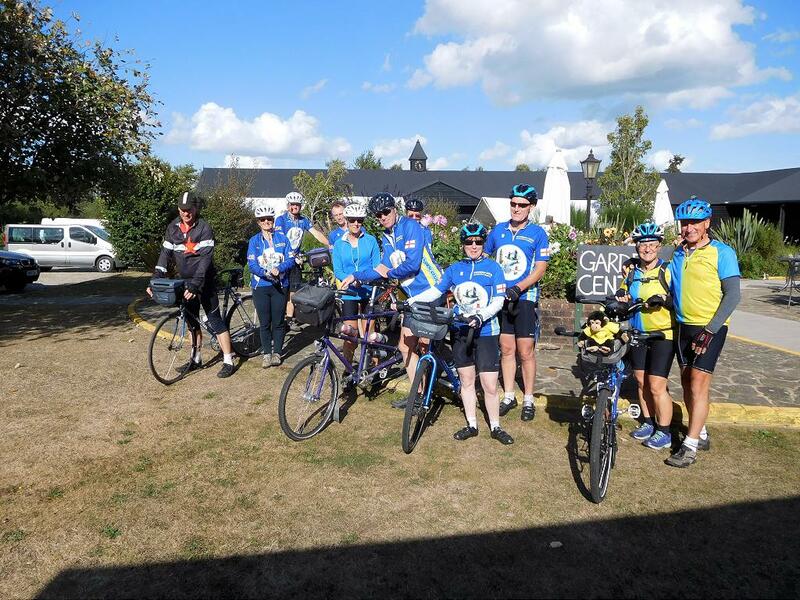 The Tandem Club, its officers or representatives can accept no responsibility for any accident, loss, injury or death however caused.